Oscar Generale hosts star studded event May 21st 2014 at Cannes as new special partner with Puerto Azul. *International branding icon Oscar Generale and Domenico Giannini have partnered for the “PUERTOAZUL EXPERIENCE” which promises to be one of the most exclusive events of the upcoming Cannes Film Festival. Renown co-hosts of the event include vocalist Andrea Bocelli, acclaimed actor John Travolta, super model Heidi Klum, actress Kelly Preston, plus Academy Award Winners Adrien Brody and Hilary Swank. Also slated to attend are Viviane Senna, sister of the late Ayrton Senna & President of the Ayrton Senna Institute, and film star Rosario Dawson, who are enjoying the festivities at Cannes. The “PuertoAzul Experience Night” at Cannes is a new and exceptional project born from the collaboration between Oscar Generale, former EURweb Original Guru of Business & Style and one of the most important talent & product managers in show business and Domenico Giannini, a most eclectic and volcanic businessman who is currently the President of Puerto Azul Exclusive Reports & Hotel. Generale and Giannini give rise to a veritable “citadel of luxury” that will be built in the clear and beautiful waters of Lighthouse Reef, Belize. The Cannes Festival is the perfect occasion for the presentation of this exclusive luxury resort. Mr. Generale and Mr. Giannini have organized a party that promises to be among the most sought after events during of the week of numerous activities. The “PuertoAzul Experience” at Cannes happens May 21st 2014 at the Villa Saint George on Avenue Roi Albert. 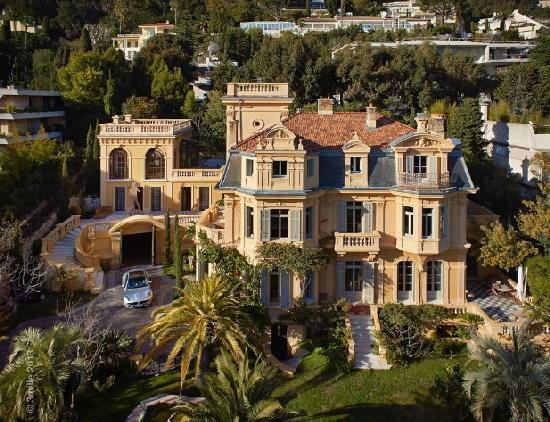 It is one of the most beautiful and exclusive villas of La Croisette. In addition to being a premiere hotel and resort PuertoAzul demonstrates a great care and concern for the people of Belize and has thus formed The Tree of Dreams Foundation, a non-profit organization that is intended to support protection projects, conservation and development of the territory and the local population. PuertoAzul will permanently reserve a percentage of its profits for the Tree of Dreams Foundation to fulfil objectives of social value through ecological sustainability procedures. Specific initiatives include the creation and maintenance of wells and watersheds, the development of medical centers, expanded educational facilities and the preservation of marine life in the reef of Belize.